Ever dreamed of making gin professionally? 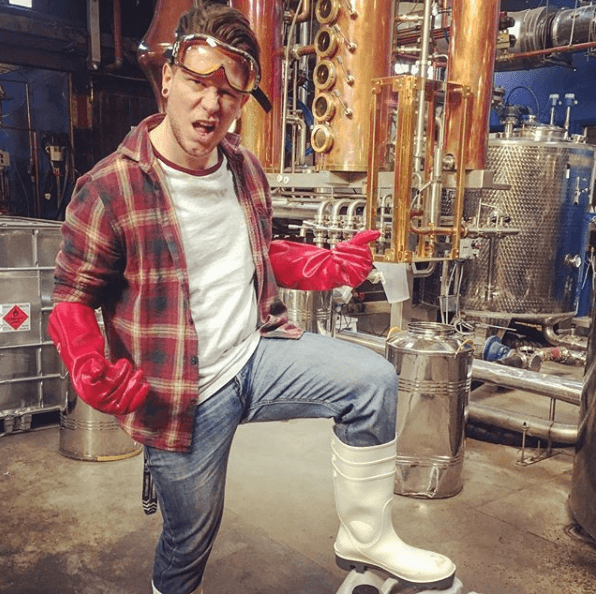 Learn what the daily life of a distiller is like, and go behind the scenes at Sipsmith, in this insider diary—penned by our own expert distiller Tim Kempton. From sipping to nosing, peeling lemons to paperwork, the daily life of a Sipsmith gin distiller is both frenetic and fascinating. Follow in the footsteps of Tim Kempton—one of Sipsmith’s illustrious crew of distillers—to learn more about what it’s like to work in a distillery, how our gins our made…and why you should be jealous of his job (hint: daily gin tastings are one of his responsibilities). 6:30am: I’m the first distiller to arrive on site. I put on my boots, switch on the boiler, ventilation, and, most importantly, the kettle. On a typical day, we use two of our stills, Constance and Verity, to make Sipsmith London Dry Gin, while Prudence is dedicated to Lemon Drizzle Gin and little Cygnet makes our experimental Sipping Society gins. 6:40am: I put dried lemon and orange peels in all three of our primary stills, as these are the only botanicals we don’t macerate overnight. 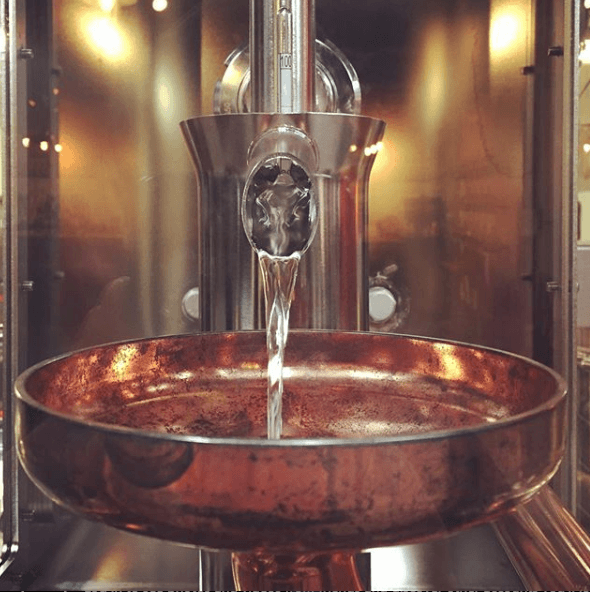 Next, I turn on the agitator, which mixes up our base spirit, water and botanicals. 7am: The second distiller arrives, and it’s time for us to hand-peel fresh lemons for our Lemon Drizzle Gin. We peel roughly 30 and load them into Prudence’s vapour chamber. 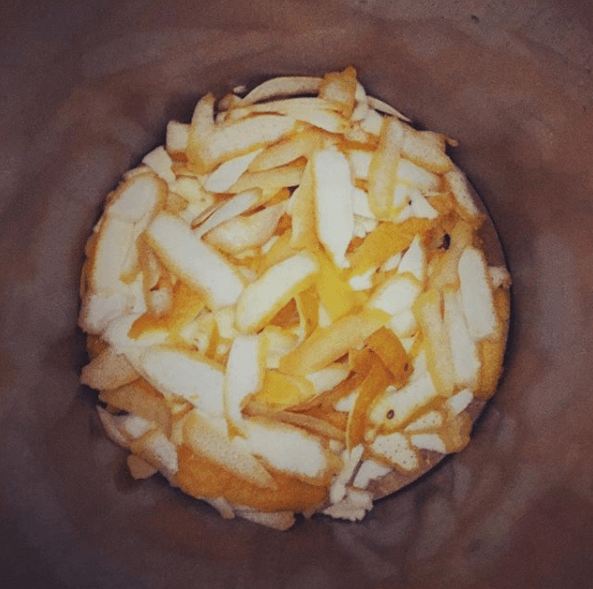 Peeling lemons: just another task our Sipsmith gin distillers tackle each day. 8am: We begin to direct the steam from our boiler into Verity’s steam jacket—London Dry Gin is officially underway! Once Verity reaches between 80-81° Celsius, the heads—the first part of each distillation—begin to come through the spirit safe. The heads are less pure than the middle (or heart) cut of each distillation, though, so we don’t use them in our gin. 8:30am: Whilst Verity is busy, it’s time to start heating up Constance for another round of London Dry Gin distilling, and to get Prudence prepped for her Lemon Drizzle distillation (though, on select days, we also use Prudence to make our over-proof V.J.O.P.). Meanwhile, Ben is busily preparing Cygnet, our smallest still, for whichever experimental gin he’s dreamed up. 9:30am: Once all of our stills are chugging away merrily, and the heart cuts are coming through, it’s time to catch up on paperwork and emails (ah, the glamorous life of a distiller). We also weigh out the botanicals for the next day’s runs. 10:30am: It’s time to move our finished products from the day before out of the Distilling area, and ensure we have enough base spirit available for our upcoming distillations. 11am: There’s still a little paperwork to do, though we take breaks to monitor the stills’ temperatures. And now, the tricky part of the job: 11am usually falls halfway through the heart cut, and we’re forced to nose and taste the brand-new gin to ensure it’s just right—someone has to do it. At Sipsmith, we only use the "heart" cut of each distillation—not the heads or tails. 1pm: By the time 1pm hits, we’ve usually made it through the heart cut, and the stills are now producing ‘the tails’—the final part of each distillation, which is normally low in alcohol and full of unpleasant sulphates and fatty acids. Not what we want in our gin, in other words! We suss out the tails through taste, nosing, weight and time, and ensure that they don’t end up in our bottles. We also determine whether the heart cuts have reached the correct ABV using alcohol hydrometers and thermometers. 2pm: The tails are tailing off, and it’s time to transfer batch two’s macerated botanicals from our tanks into our stills. Big Mac (Big Macerator)’s contents are transferred to Constance, while Hank (Hank the Tank)’s contents are transferred to Verity and Dalek’s (so named because it was bought off a man called David Tennant) go into Prudence—names are clearly taken seriously here at Sipsmith. Right around this time, the evening distillers arrive, and it’s all hands on deck to prepare and restart the stills for batch two of the day. 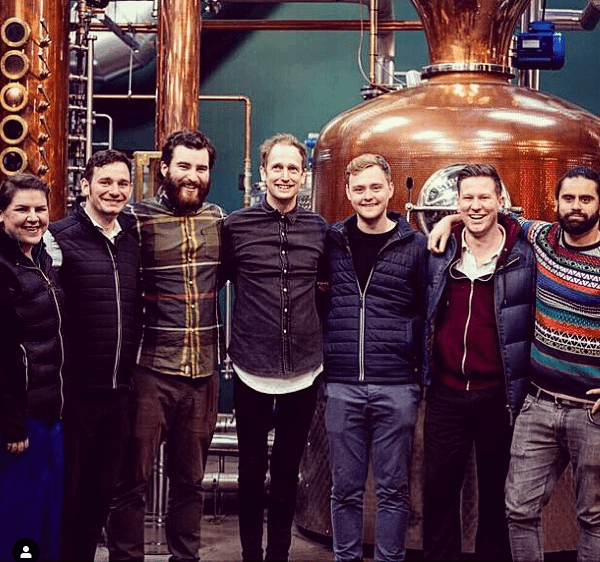 3pm: Handover time, which means the whole distilling team gathers in front of the stills. We’ll typically cover health and safety topics, paperwork and how the stills are performing, all mixed in with a dash of morale. We’ll also discuss anything to be aware of over the next few days, whether that’s maintenance, tours, or even filming sessions. 3.30pm: After handover, the day shift finishes and the evening crew are officially in charge. 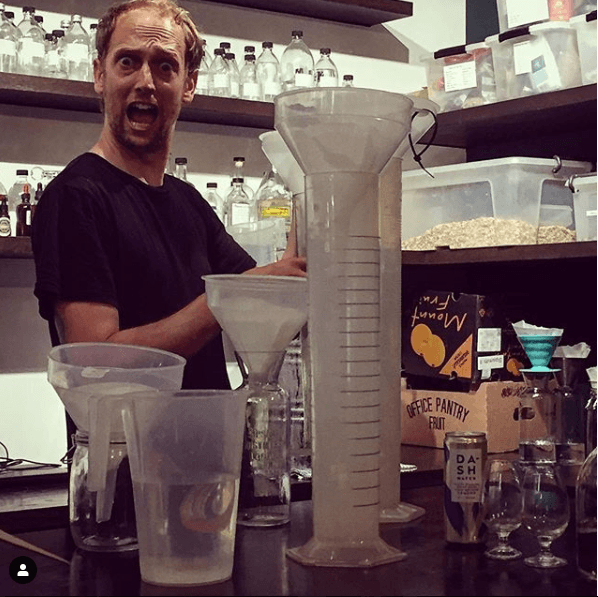 But just because the day shift is over, it doesn’t always mean it’s time to head home and relax—quite often, we distillers have events or tours to attend, or courses to study for. Gin is a round-the-clock passion, after all. 4pm: Batch two’s distilling process occurs just the way it did earlier in the day, and carries on into the evening. That’s another ginful day done.